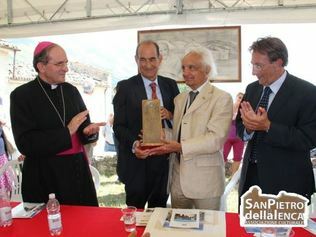 ASSOCIAZIONE CULTURALE "SAN PIETRO DELLA IENCA"
IL PREMIO INTERNAZIONALE "LA STELE DELLA IENCA" E LA FESTA DEDICATA A SAN GIOVANNI PAOLO II "CI VEDIAMO ALLA IENCA"
ESTEMPORANEA DI PITTURA "TRA FEDE E NATURA"
The Cultural Association of "San Pietro della Ienca" was officially born on the 1 June 1999 with the aim of working to provide an appropriate tribute to John Paul II, who was an incomparable friend of the Abruzzo mountains and to enhance the Village of San Pietro della Ienca, which was one of the 99 villages which contributed to the birth of the city of L'Aquila. The Cultural Association is chaired by Pasquale Corriere. 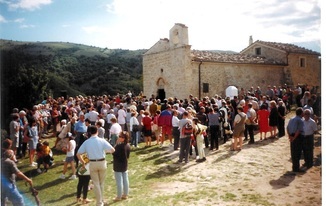 In the following month of that year, on July 17th 1999, the first major initiative of the Cultural Association took place with the unveiling of a Stone engraved (stele) for the Pope at San Pietro della Ienca. With the inauguration of this feature, made by the sculptor Antonio Quaranta, the work of the Cultural Association to honour the memory of His Holiness John Paul II's and to commemorate his visits to the Mountains of Abruzzo, which were among his favourites, had begun. 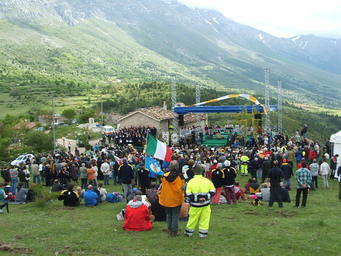 His Holiness John Paul II's relationship with the Mountains of Abruzzo goes back over many years. 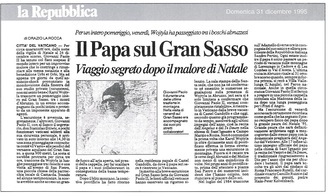 It all began on a cold and foggy afternoon in late December 1995. 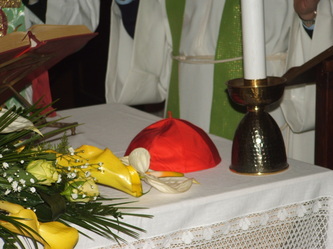 The Pope had to abruptly end his "Urbi et Orbi" blessing from St. Peter's Square. 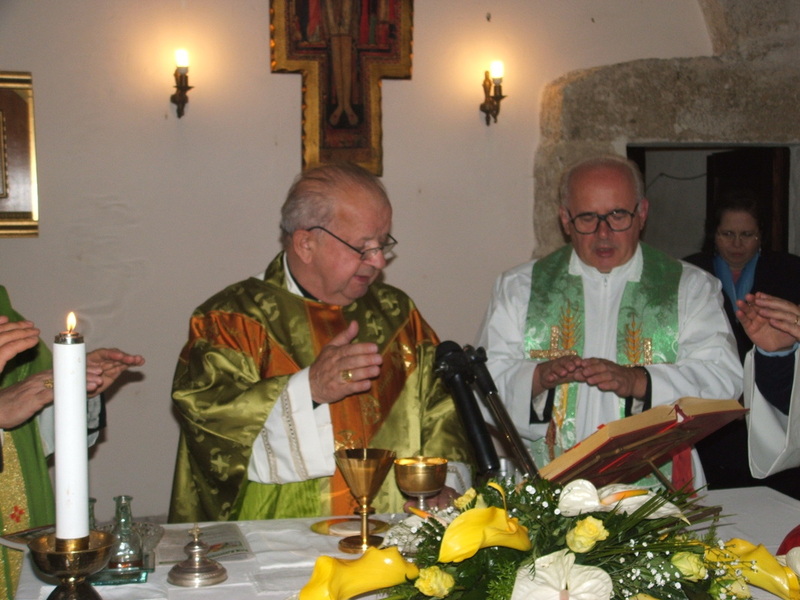 His fever did not allow him to finish the blessing: "...in the light of the birth of Jesus." 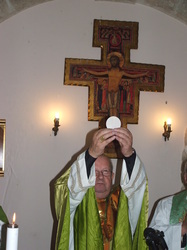 "Sorry I have to stop, I bless you," he said. 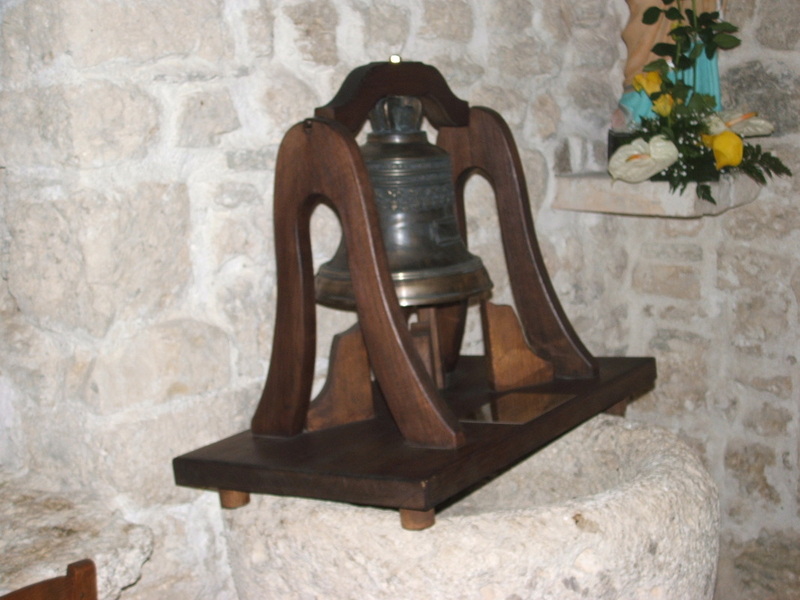 Just before a sigh, a moan. The Pope should say Christmas wishes of peace in 55 languages, to the 67 countries directly connected with St. Peter's Square. Apprehension about the Pope’s health continued, despite the assurances of Vatican sources. On the 27th of December, the Pope had gone to the residence at Castel Gandolfo for a couple of days rest. 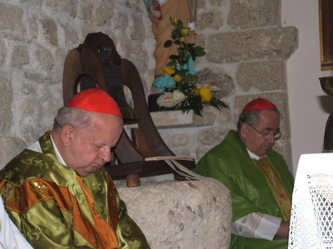 On the 29th morning together with his secretary Don Stanislaw Dziwisz, he decided to travel to Abruzzo, in the area of Vasto, near the church of San Pietro della Ienca where many times before had gone to pray. 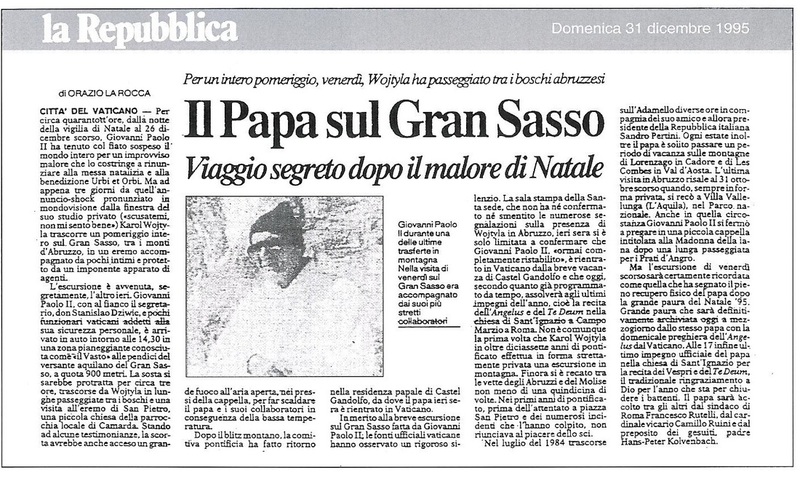 But that day, December 29, 1995, the news of the Pope’s health from Gran Sasso is more significant than on previous occasions. 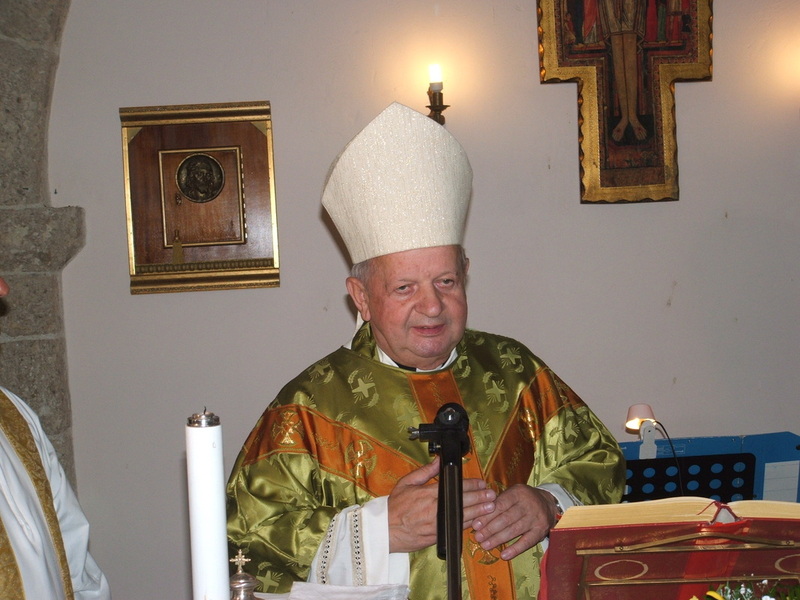 For forty-eight hours, from the night of Christmas Eve to December 26 last year, the whole world held their breath for a sudden illness that forced John Paul II to give up the Christmas Mass and Urbi et Orbi blessing. But just three days from that shock announcement, from the window of his private apartments ("excuse me I do not feel well"). 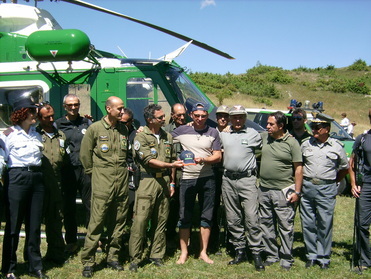 Karol Wojtyla spent the entire afternoon in the Gran Sasso Mountains within the Abruzzo Apennine’s in a hermitage accompanied by a few close friends and protected by an impressive array of agents. 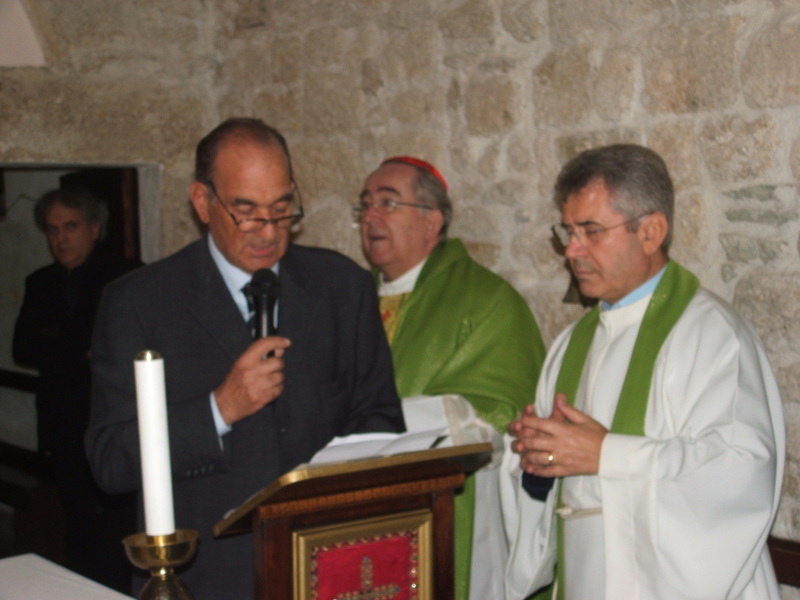 That Day Pasquale Corriere (President of the fledgling Cultural Association) was in San Pietro della Ienca and saw the Pope. 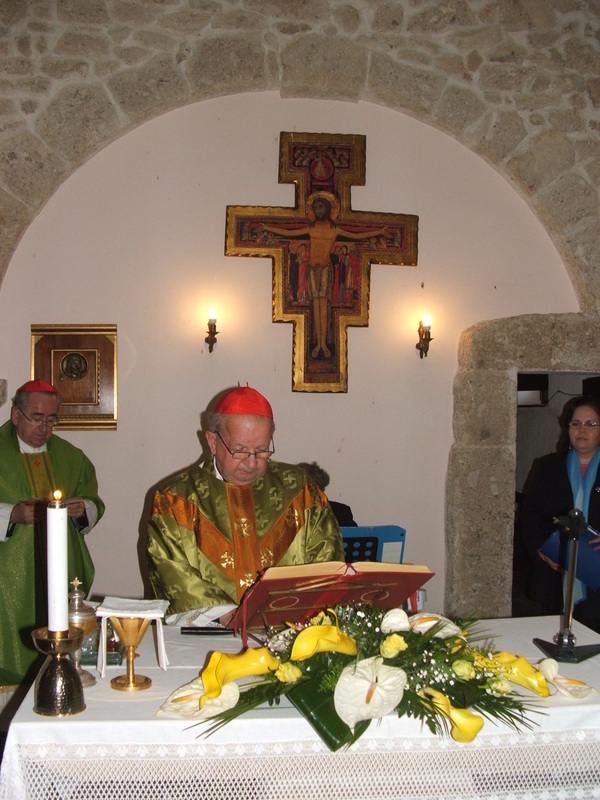 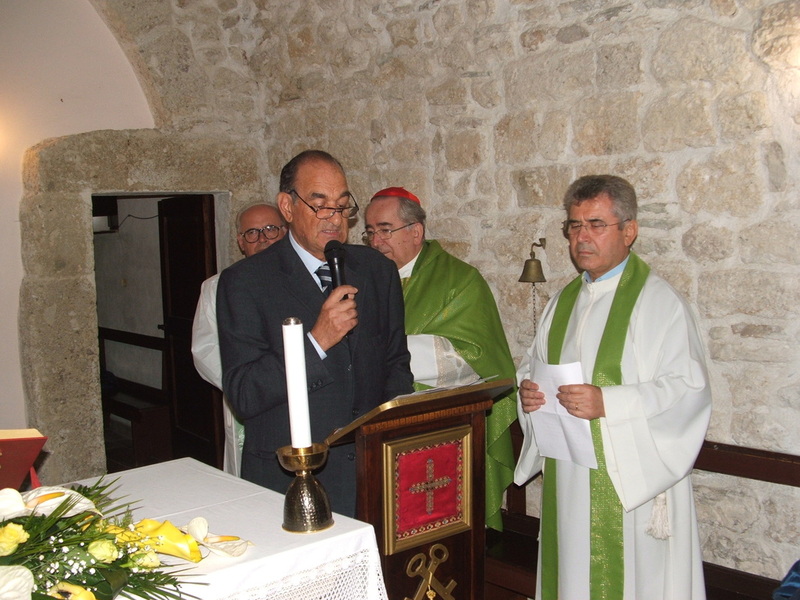 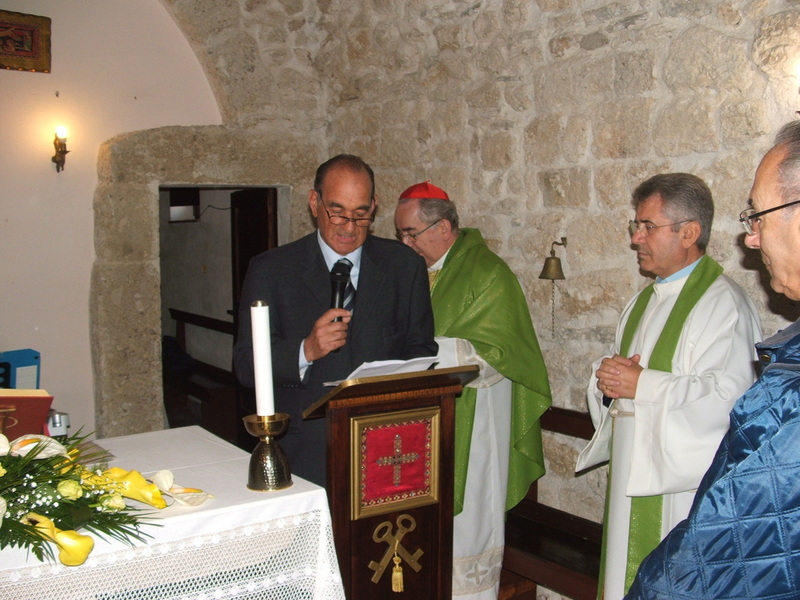 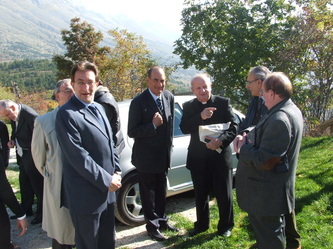 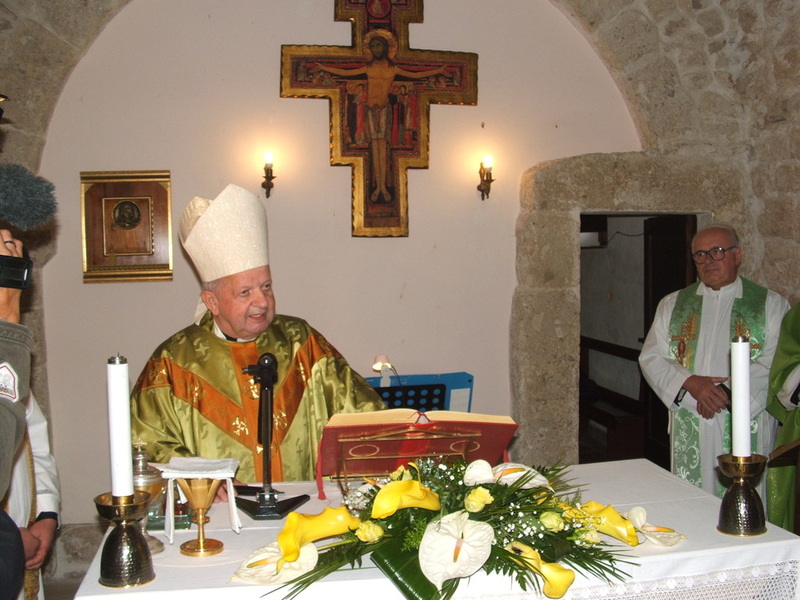 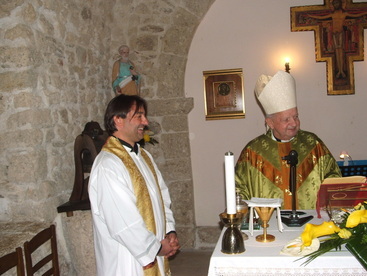 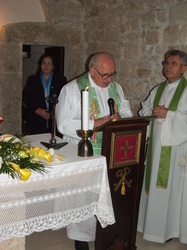 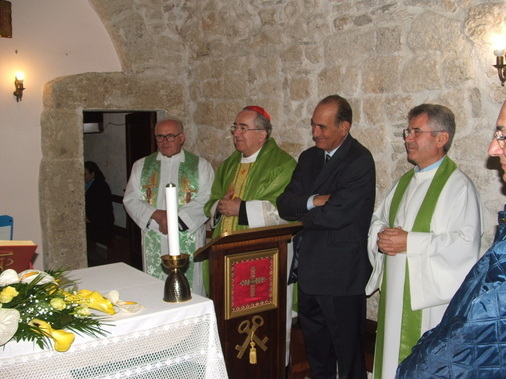 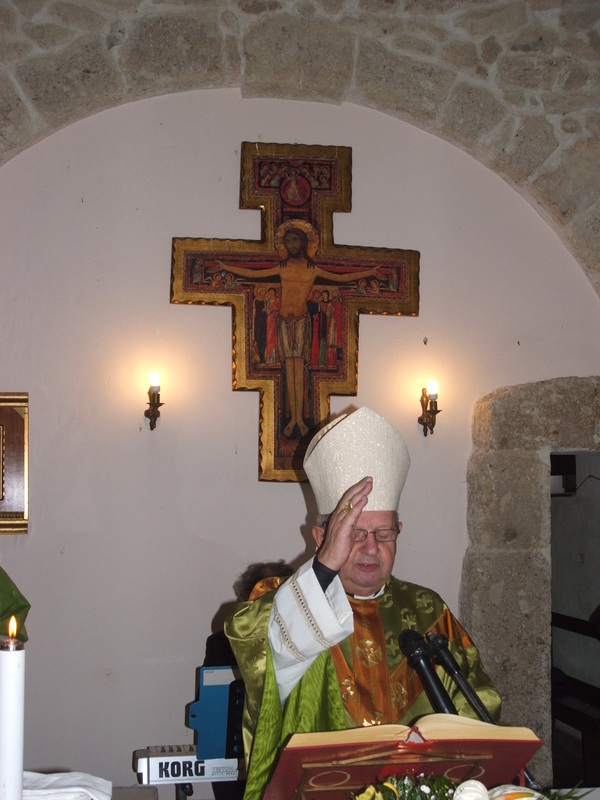 Immediately, the Association began to work hard to finish the restoration of the church which had begun in 1984 by Father Andrea D'Ascanio and continued in 1997 with the definitive and accurate restoration carried out by the Superintendence of BAAS Abruzzo, to promote initiatives in homage to the figure of the Holy Father. 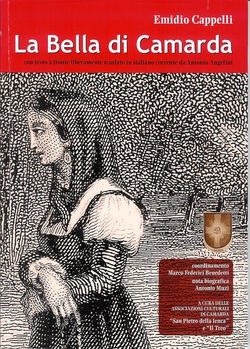 The book "Bella di Camarda"
In 2001, with the passionate commitment of Pasquale Corriere and Italian historian Antonio Angelini, under the coordination of Marco Federici Benedetti and drawing on the biography of Antonio Muzi, the Cultural Associations of "San Pietro della Ienca" and "The Treo" undertook the task of reprinting the book "Bella di Camarda" poems published in 1857 by Emidio Hats, nineteenth-century poet and intellectual of widespread fame (2). 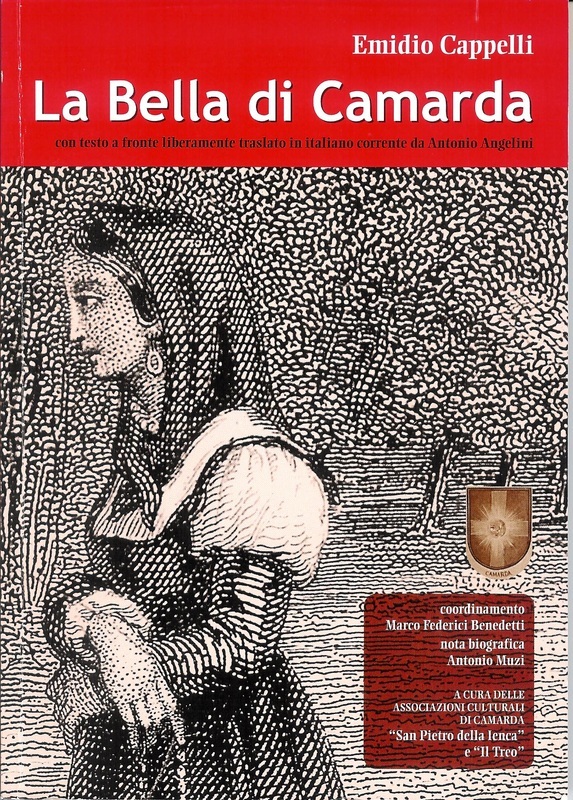 2 E. CAPPELLI, La Bella di Camarda, with parallel text freely translated into Italian by Antonio Angelini,edited by the Cultural Associations of Camarda "San Pietro della Ienca" and "The Treo", L'Aquila, Group Typographic Editorial, L'Aquila, 2001. 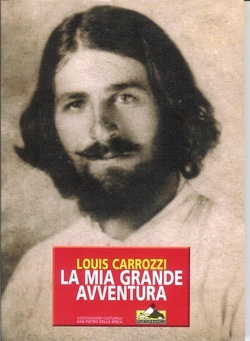 Louis Carrozzi "My great adventure"
In 2006, after much research and the efforts of Errico Centofanti, who oversaw the textual and editorial coordination of the restoration work and with the Italian translation prepared by John Hemingway, the Cultural Association "San Pietro della Ienca" published the first Italian-language edition of the novel by Louis Carrozzi "My great adventure" (3). 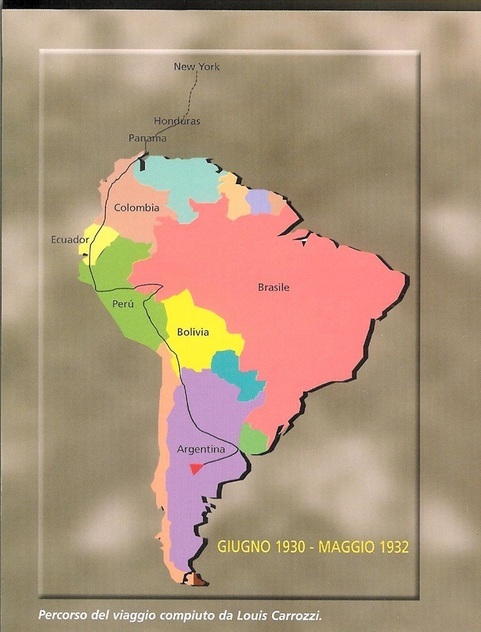 3 The novel was published in English by Vantage Press (New York, 1954 Library of Congress Catalog Card Number 54-8328) titled "Adventurer of the Pampas." 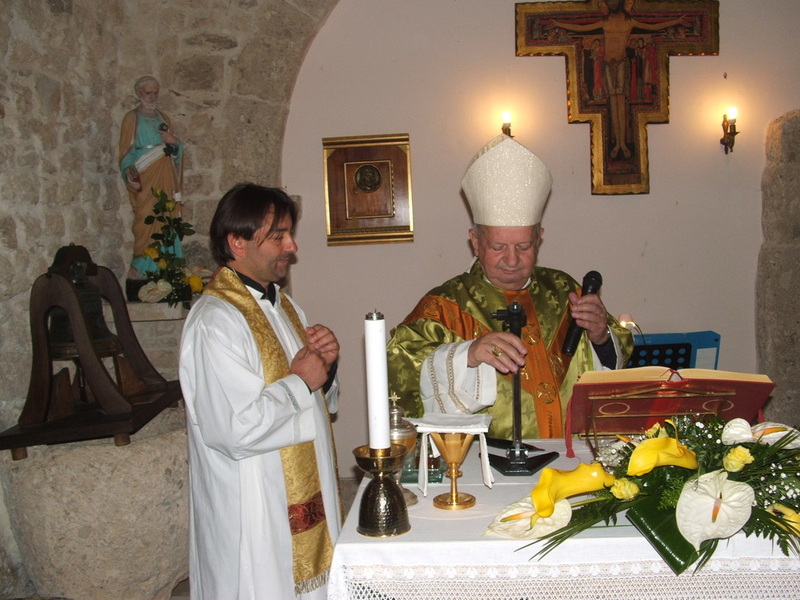 From Guide to reading of Errico Centofanti in "Louis Carrozzi - My Great Adventure" by the Cultural Association "San Pietro della Ienca" Italian version of John Hemingway, L'Aquila, Group Editorial Tipografico, 1996. 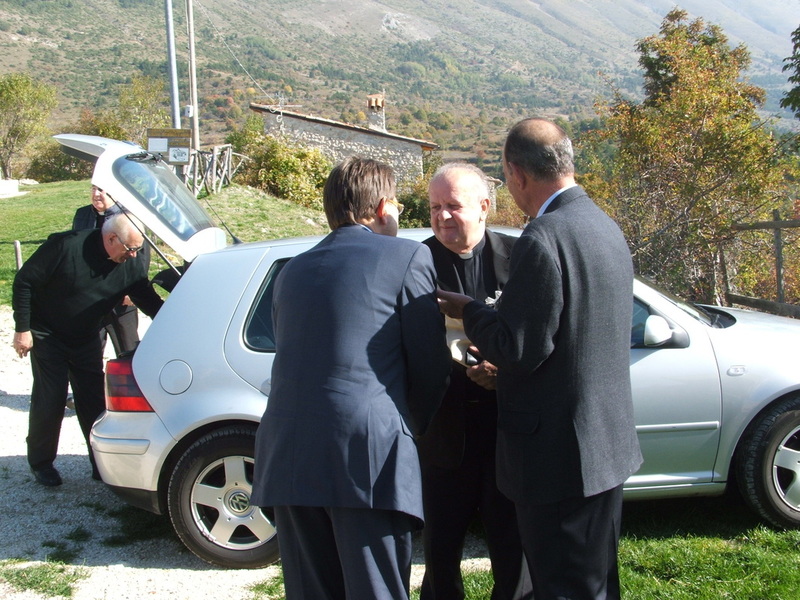 "See you at the Ienca"
After the first major initiative of the engraved stone to commemorate the memory of the visits of His Holiness John Paul II, this work continued. In 2001 the first edition of the cultural event "See you at the Ienca" was organized, under the artistic direction of Errico Centofanti and the festival is held annually in August. 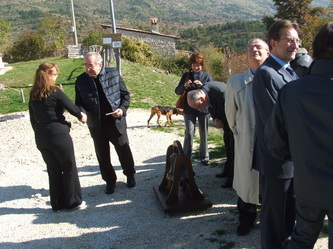 During this festival an award “The stele of lenca” consisting of the bronze reproduction of the engraved stone, is made. 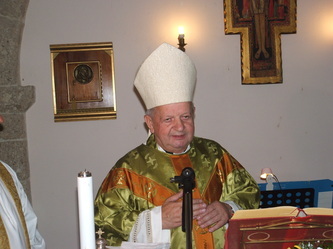 • Professor Antonino Zichichi (2013). 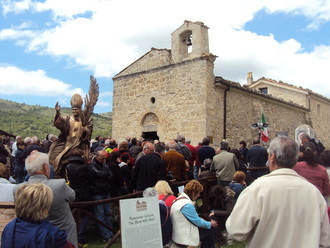 Over the years, The Association has had to not only constantly deal with the recovery of the Village San Pietro della Ienca, but also has also been responsible for organizing a series of other major cultural events. 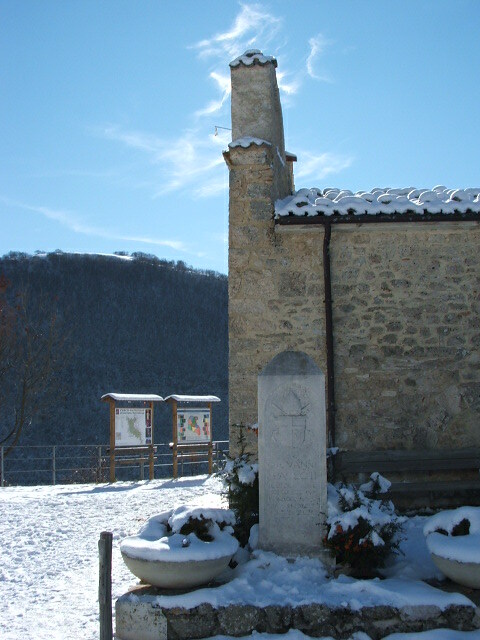 In 2005, the Cultural Association "San Pietro della Ienca" collaborates with the Club Italian Alpine section of the Aquila and with the City of Aquila Community to bring about the renaming the area as the Peak of John Paul II (Gran Sasso of Italy) and the Path of Karol Wojtyla. 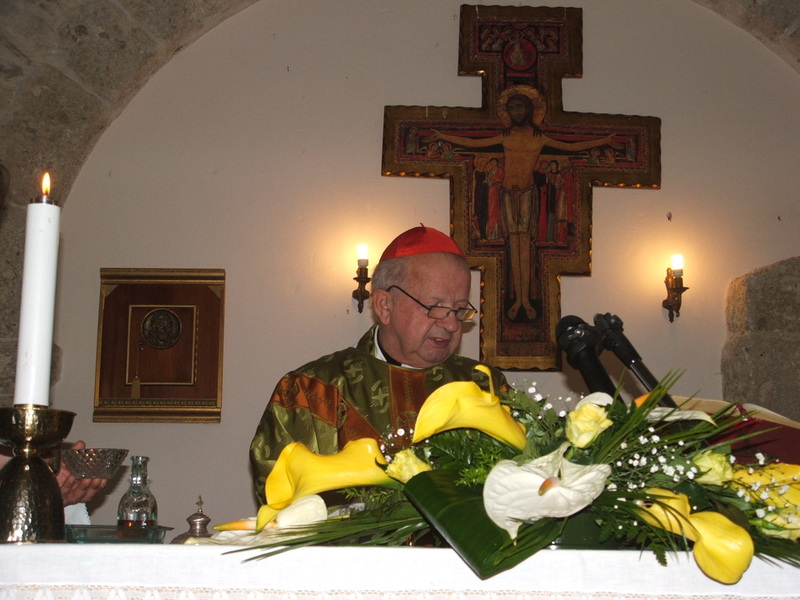 On 19 October 2008, Cardinal Stanislaw Dziwisz and Cardinal StanislawRylko celebrated an official Mass (after many private visits made over the years) and gave the gift of a bell which was recast from the original bell dating from 1544, in the Church of Jezus Maryja in Czestochowa (Poland). 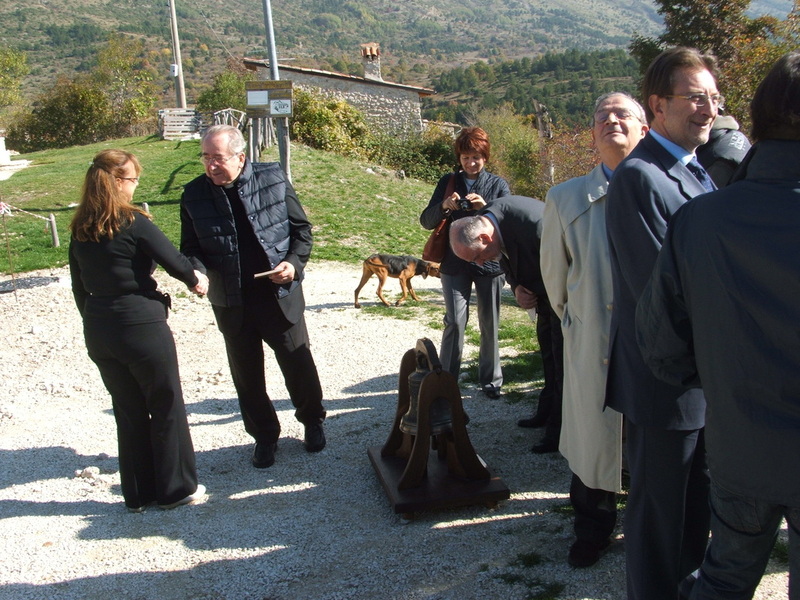 In 2009, despite the terrible earthquake that struck the city of L'Aquila, the Association promoted the purchase of the bronze sculpture of the artist Fiorenzo Bacci. 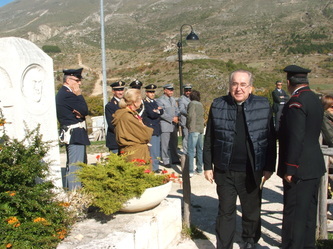 The great work on a tour traveling throughout Italy, in July 2009 had come to San Pietro della Ienca and at the end of December, it had been positioned by the suggestion of the artist and with thanks to the Body of the Fire Department at the Villa Comunale in Aquila, where it remained until July 2010, when finally, thanks to a many benefactors and public intervention, it is back for good in the churchyard of San Pietro della Ienca. On 19 July 2009, a major event was organized for San Pietro della Ienca, the second stage of the project, with the “ Tom Perry barefoot walk ON THE PATH OF JOHN PAUL II” held in collaboration with the Province of Catania, the Forest Service State and the Municipality of Assisi. 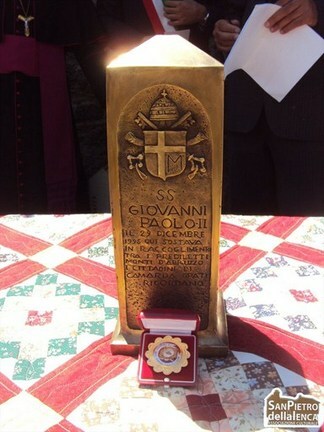 During this walk Antonio Peretti (mountaineer) reached the John Paul II peak (2.424meters Gran Sasso of Italy). 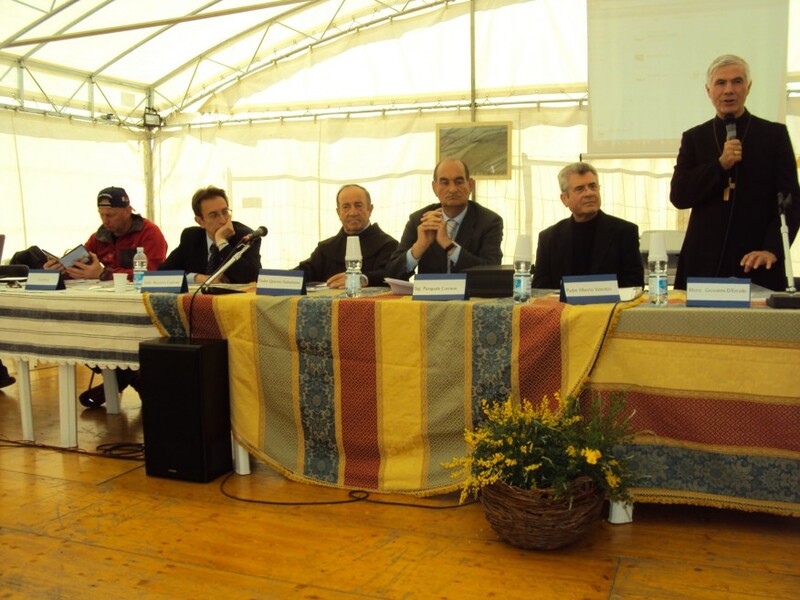 "L'Aquila for the Beatification of John Paul II "
In 2010, in anticipation of the Beatification of John Paul II, the Cultural Association of San Pietro della Ienca organized a Study Day titled "L'Aquila for the Beatification of John Paul II " coordinated by Father Alberto Valentini and with speakers such as Archbishop Giovanni D'Ercole (Bishop Auxiliary Aquila), Quirino Father Solomon (Rector of the Basilica of St. Bernardino), Dr. Fiorenzo Bacci (artist of the sculpture of John Paul II), Dr. Davide De Laurentiis and Dr. Giuseppe Paolella of the Forest State, Dr. Carmelo Nicoloso (coordinator Pro Natura South Italy), Dr.Giustino Parisse (journalist), Tom Perry (mountaineer), Filippo Crudele (poet). 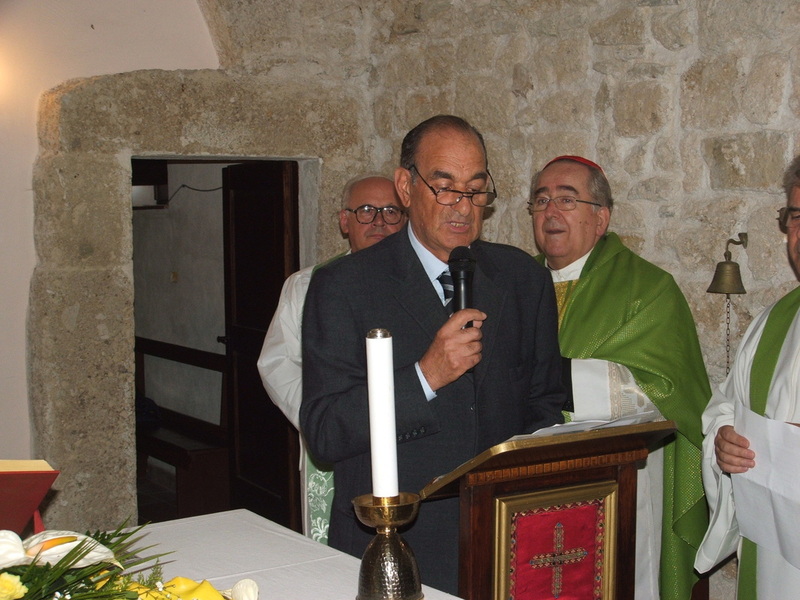 The evening was enlivened by the Concert of Ancient Music Conservatory "A. Casella dell’ Aquila” conducted by Maestro Andrea De Carlo. 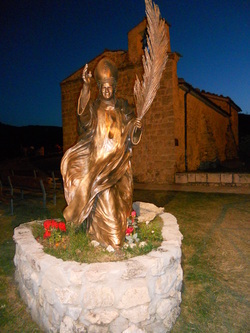 In January 2011, after the announcement of the long-awaited beatification, the President of the Association, Pasquale Corriere forwarded the request of the Archbishop of L'Aquila, to make the small Church of San Pietro della Ienca, the Shrine of Blessed John Paul II, the first sanctuary in Europe. 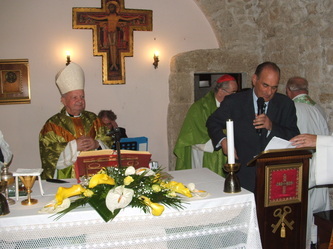 The request was granted and from 18 May 2011, the small Church of San Pietro della Ienca, so much loved by His Holiness John Paul II, became His Sanctuary, the first European Sanctuary, located in a place of spiritual and cultural charm, that expresses in an exemplary way the confluence of values, ​​highly significant and highly appreciated by all, such as the environmental beauty (that the area offers from within one of the most spectacular national parks) and the historical and artistic beauties offered by the small "Portiuncula" of the Gran Sasso, Italy. 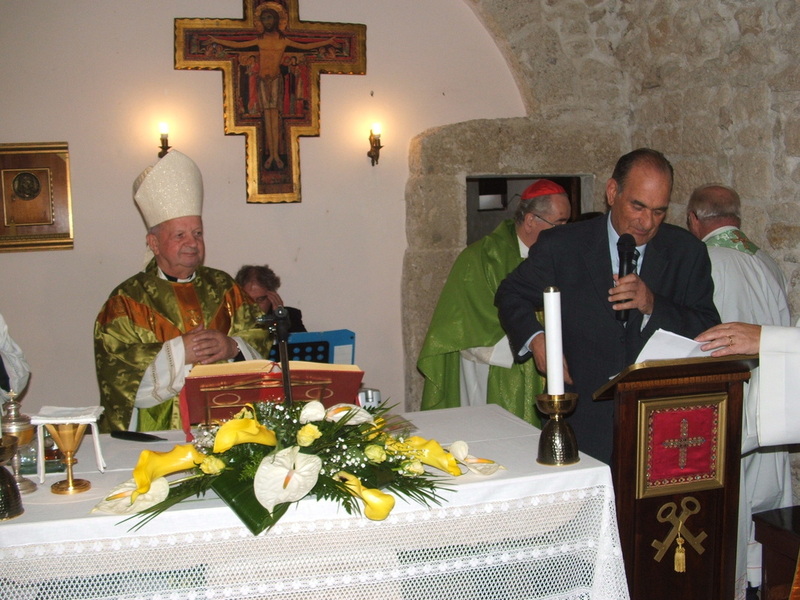 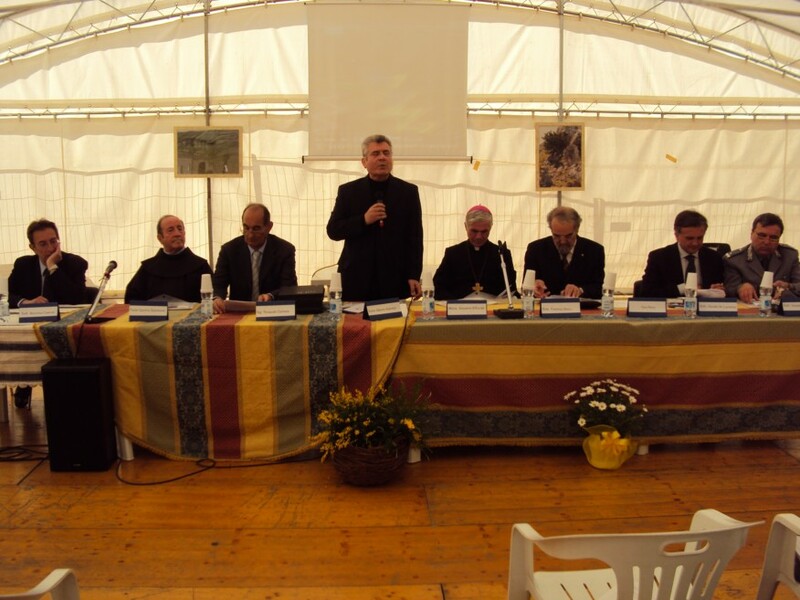 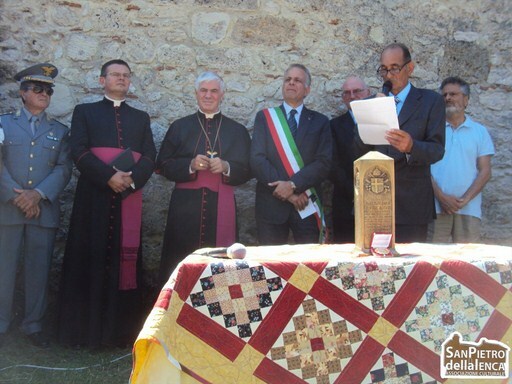 In August, the Cultural Association "San Pietro della Ienca" awarded the Prize of the "The Stele of Ienca, 2011" to John Paul II in the year of His beatification, as a special award in memory and in honor of His intense pastoral activity throughout in the world. 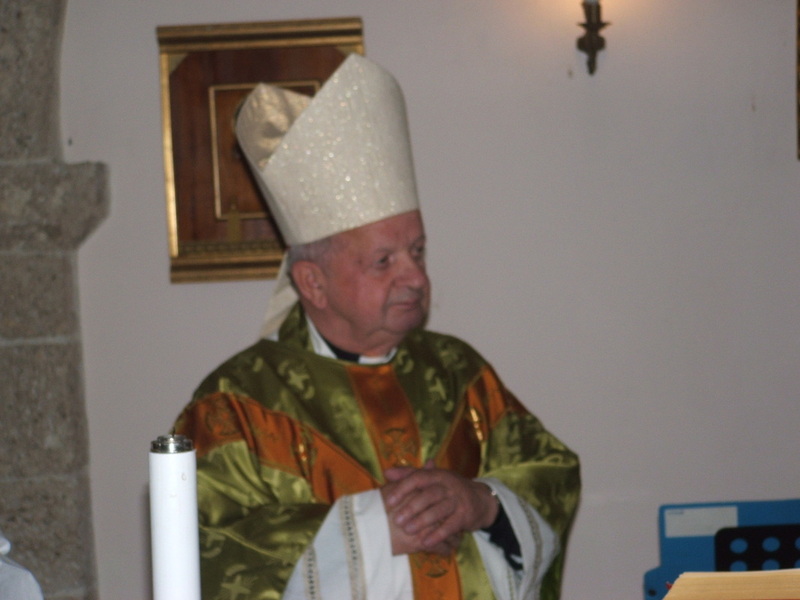 On this occasion the Cardinal Stanislaw Dziwisz gives the relic of Blessed, exhibited at the Shrine in San Pietro della Ienca (L'Aquila) by sending it together with the letter of greetings. Borgo di San Pietro della Ienca can be reached via the A24 Motorway exit Assergi or along the Highway 80, then continue towards the main road of Vasto. 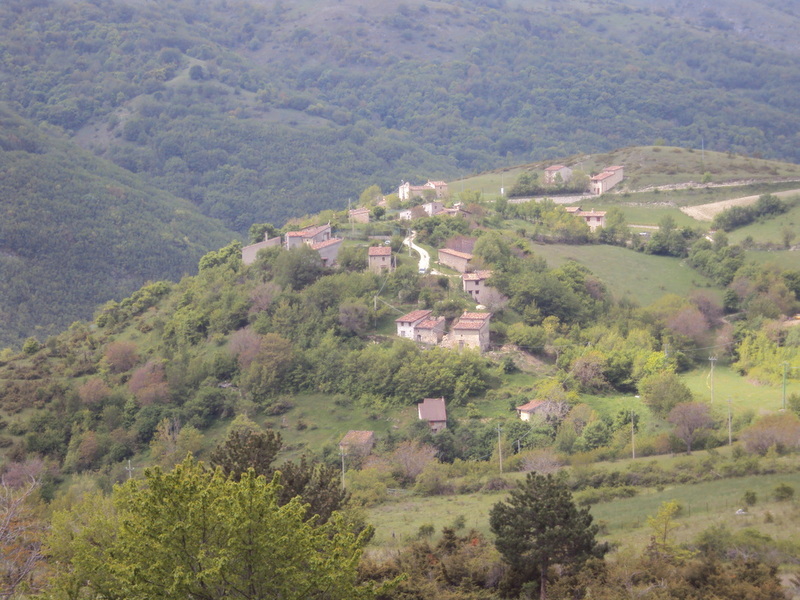 Passed Borgo Assergi continue for about 1 km and turn left towards the road Provincial Vasto where after 10 minutes you arrive in San Pietro della Ienca.